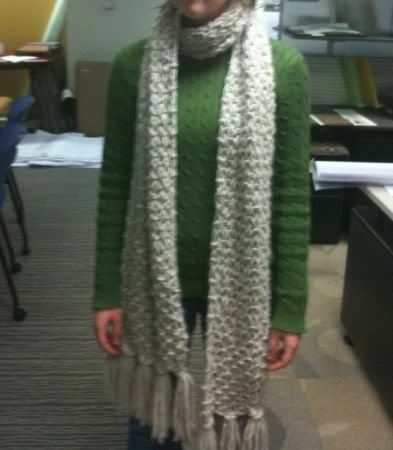 I finished my scarf, and it looks magnifique, in my humble opinion. Very close to this, which was my inspiration. Maybe I went overboard though - it is 1.5x my height. December 16, 2009 by Adele Chapin.